I love using turmeric powder in cooking because of the rich orange colour it gives food. It is also a key ingredient in a lot of Indian cuisines. Turmeric has a spicy/bitter flavor and pleasant smell. The powder is derived from the root of a plant known as Curcuma longa. Turmeric powder is an excellent ingredient, which can be used for skin care such as the treatment of acne and hyperpigmentation. This article will cover the benefits of turmeric, why it’s so effective for skin care and some great turmeric recipes for the skin. 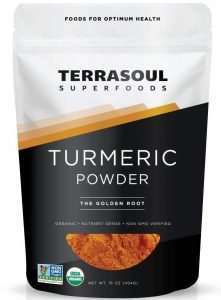 The brown turmeric root is boiled to soften it up. This is to help it dry faster for the next step. The boiling also kills any harmful bacteria. Afterward, the resulting mixture is drained and sliced. It is then laid out in the sun until it becomes very dry and hard. This process usually takes 10 – 15 days. Once dry, the turmeric root is processed via a mill to make the fine orange powder. Is Turmeric Powder Good for Acne? Acne can be an annoying and distressing problem especially after trying expensive OTC products without any results. 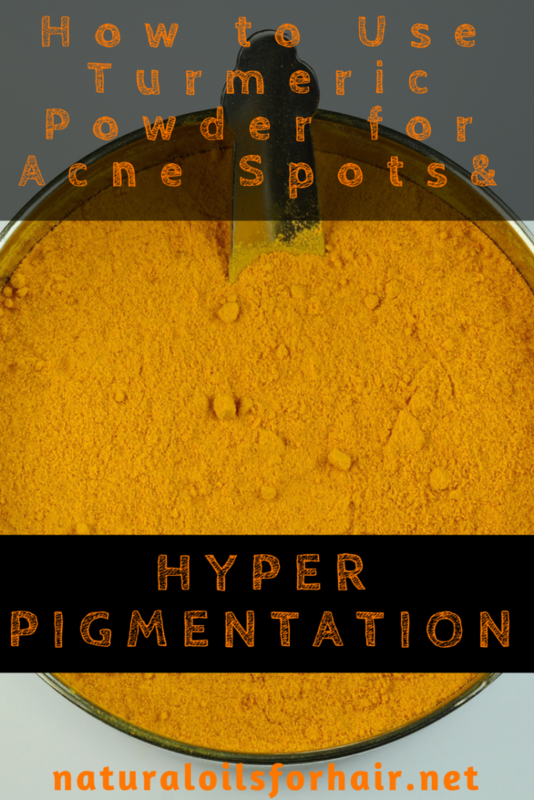 However, there are several ways to treat acne and hyperpigmentation with ingredients right in your kitchen. These ingredients are natural, organic and gentle on the skin. One of such ingredients is turmeric powder. Turmeric powder is an excellent source of iron, manganese, vitamin B6, fiber and potassium. Turmeric is also an excellent anti-oxidant. Additionally, a compound known as curcumin in the powder contains anti-inflammatory agents. These anti-inflammatory agents have been proven to be more effective than OTC products. Curcumin compound is also responsible for the bright orange-red colour of the powder. Get a clean bowl and mix the turmeric powder with the calendula oil, avocado oil & almond oil until you form a medium consistency paste. Something close to mashed potatoes. Add in the lavender essential oil and mix again. Apply the mask generously to your face and neck and leave on for up to an hour. Wash off with lukewarm water, then apply your moisturizer. You can use this mask 2 – 3 times a week. Mix all the ingredients together until a smooth paste is formed. Wash your face and neck with a gentle cleanser. Wash off with lukewarm water, then apply your moisturizer. You can also use a toner before the moisturizer if you prefer. Mix both ingredients into a smooth paste. Apply to problem areas with a q-tip. This mask isn’t for all over the face as it can be a bit drying. Leave on for 20 minutes then rinse off with lukewarm water and apply a moisturizer. Mix the masks fresh every time you need to use it. Storing unused paste isn’t great since it doesn’t have any preservatives. It will take up to 3 months for an overall turnaround in your condition so remain patient and use the mask consistently. Turmeric powder may leave a slight orange tinge on your skin but this will come off easily the next morning when you wash your face. 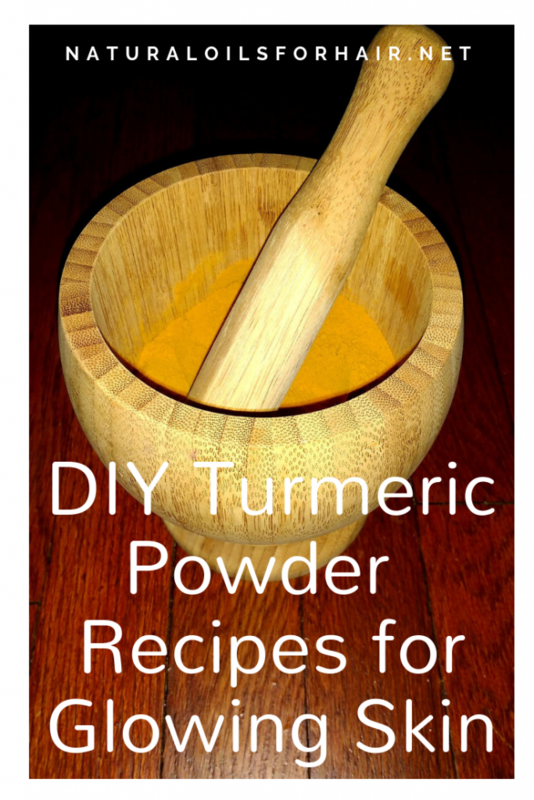 You can also get the benefits of turmeric powder through cooking. You can add it to curries, sautéed vegetables, salads, soups and stews, and dips. 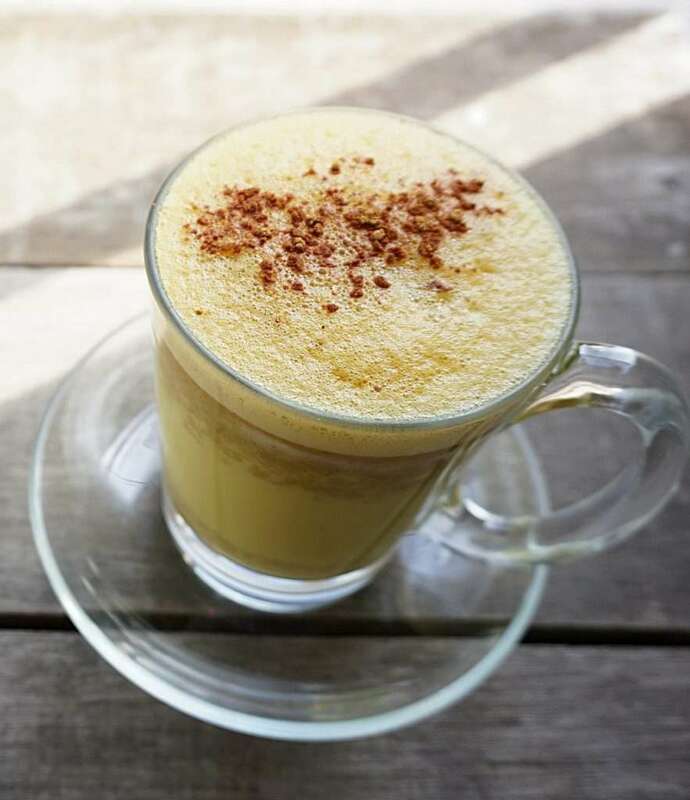 If you don’t like turmeric powder in your food, you can try this simple turmeric tea. 1 – 2 cups every day is adequate. Mix 1 teaspoon of turmeric powder in a cup of boiling water and let it simmer for 10 minutes. Add some agave nectar (optional) for taste and drink up. You can also put it in the fridge for a while and drink it as iced tea later on. 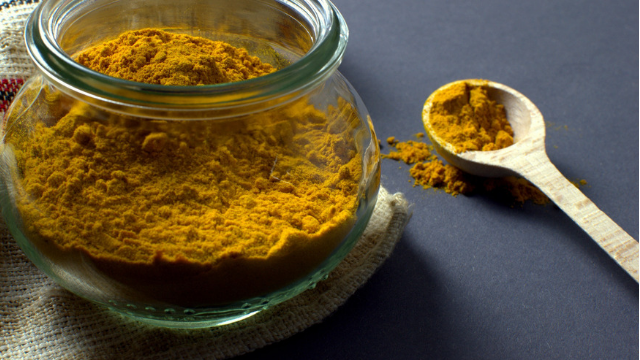 Turmeric powder should be stored away from light to protect its efficacy. Do not heat up the oils or the mask before applying it to your face. This will destroy its potency. Make a fresh batch for every treatment. Keep your turmeric powder in tightly closed containers. Exposure to open air will affect its taste and fragrance. The powder will stain your fingers so wear disposable gloves to protect your hands. However, the stain will come out after several washes if you don’t want to use gloves. 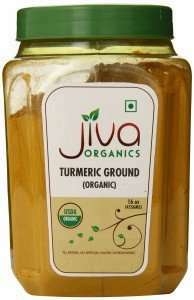 Where to Buy Turmeric Powder? Be sure to buy organic label turmeric powder.